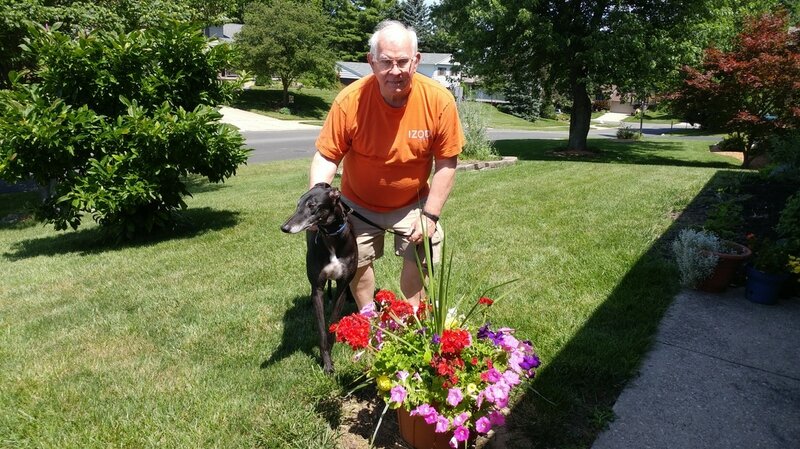 ​JoAnn and Ken of Dayton used to have greyhounds up until several years ago, and it was time to get another. GLS Waitnsee, now called Shadow, has been waiting in foster care a couple of months, but it was worth it because this is a terrific family for him. JoAnn was not available for the photo, but she and Ken will provide Shadow a wonderful home. He turns four next week - what a great birthday present! His forever home!